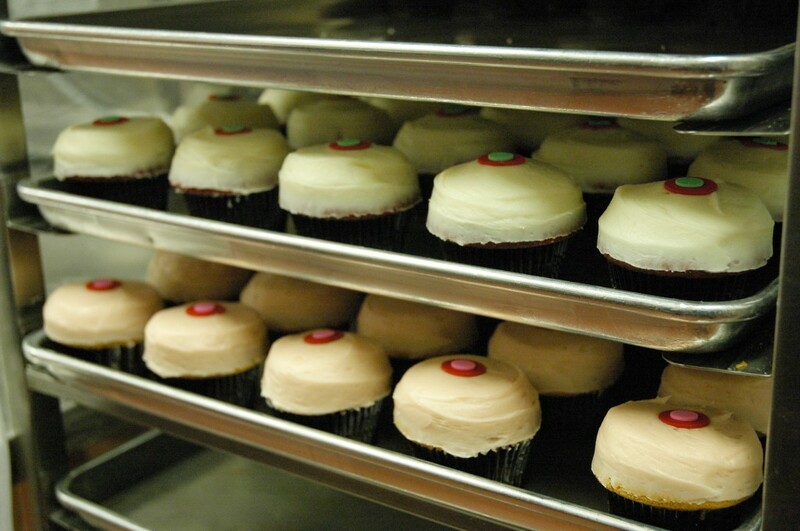 You may have heard of this little phenomenon called Sprinkles Cupcakes… if you haven’t, get yourself there now! Sprinkles is one of the top destinations in Chicago to satisfy your sweet tooth. 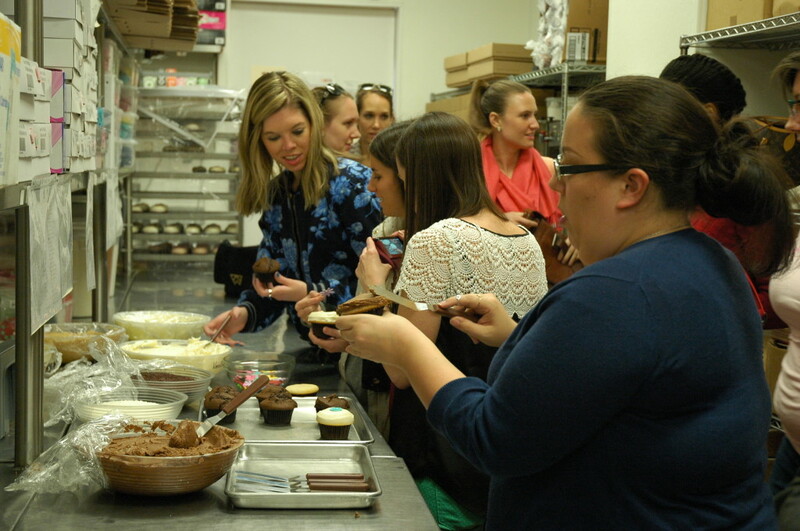 With the Windy City Blogger Collective, I had the lucky opportunity to go behind the scenes at Sprinkles to see where the magic happens, as a #SprinklesTasteTester. The allure of Sprinkles’ freshly baked cupcakes draws in droves of locals and tourists each day, clamoring for the sweet taste of this Gold Coast shop’s treats. 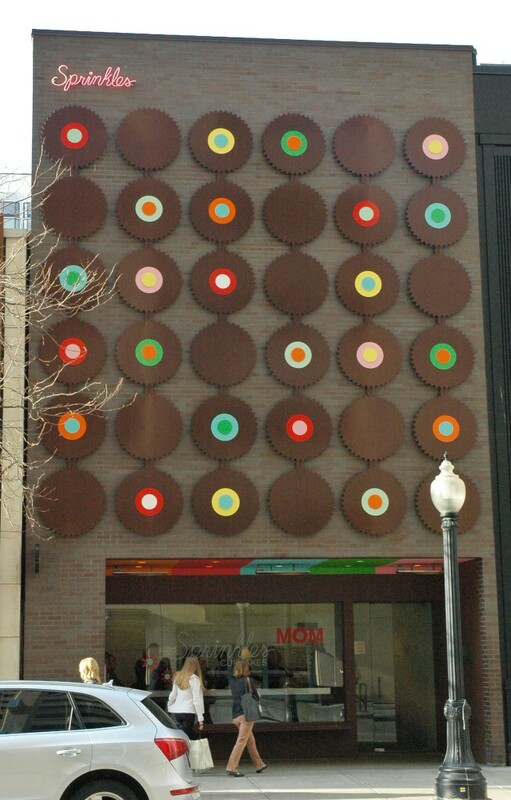 The façade of the store is covered in the characteristic polka dots decorating the tops of many of Sprinkles’ cupcakes. You’ll be greeted first by the innovative Cupcake ATM outside the door – just use the screen to make your selection and you’ll have your cupcake in hand in moments! When you walk in the door, you’ll see what all the fuss is about as your eyes meet the rows of flavors for your choosing. A handy guide will show you which flavors are available each day of the week, and you don’t have to pick just one! Boxes are available to take cupcakes home or to make someone’s day as a gift. Situated behind all the delicious temptations is a small but mighty kitchen churning out all the cupcakes the store sells. 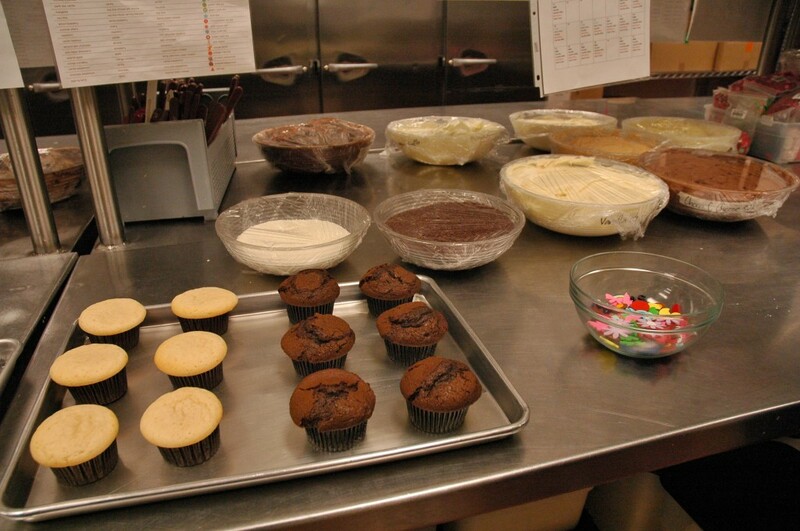 Trays and trays of the delicious cupcakes are surrounded by industrial size mixers, ovens, and cupcake pans of various sizes. For our lucky group, a set of unfrosted cupcakes sat out on the counter. I was ready to pick up a frosting spatula right away but my patience was rewarded with a lesson on how to frost cupcakes the official Sprinkles way. After stirring the frosting a bit with the spatula, scoop up more frosting than will be necessary to top the cupcake. Spread the frosting smoothly over the top, running the spatula in both directions to create a flat surface. Brush the spatula along the side of the cupcake in short sections, removing the excess frosting. Take one final sweep with your spatula across the top and around the sides to smooth out the frosting, finishing the look by rounding out any edges. If you’d like, top with sprinkles or other decorations. I am a vanilla cake lover so I picked up a vanilla cupcake and chose the peanut butter frosting. 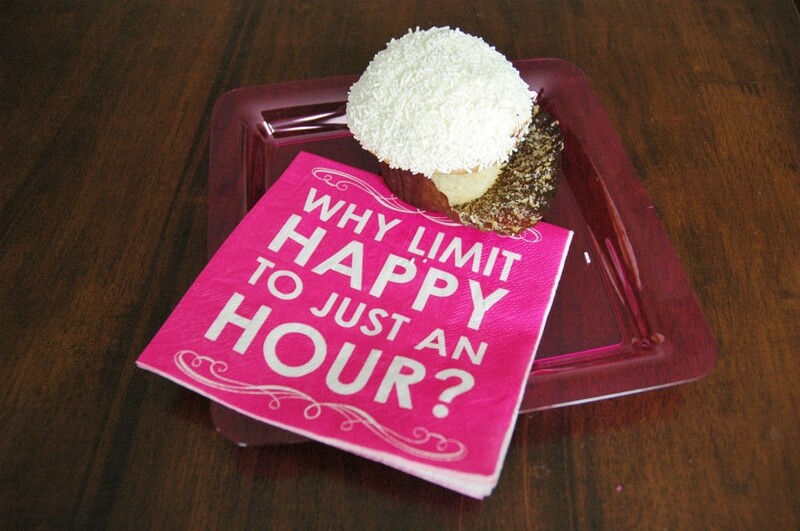 With a few careful swipes my cupcake was iced and I was ready for the decorations. 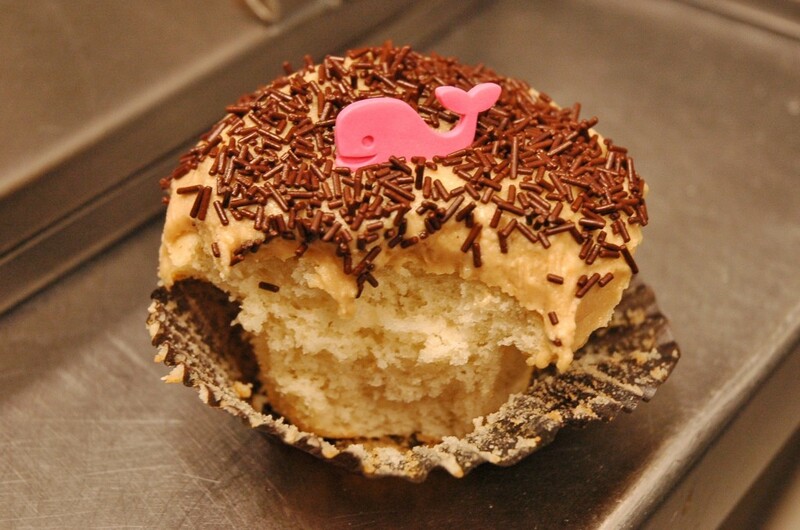 Chocolate sprinkles and a little pink whale topper seemed like the perfect accoutrements to my creation. Within minutes, I devoured each bite. 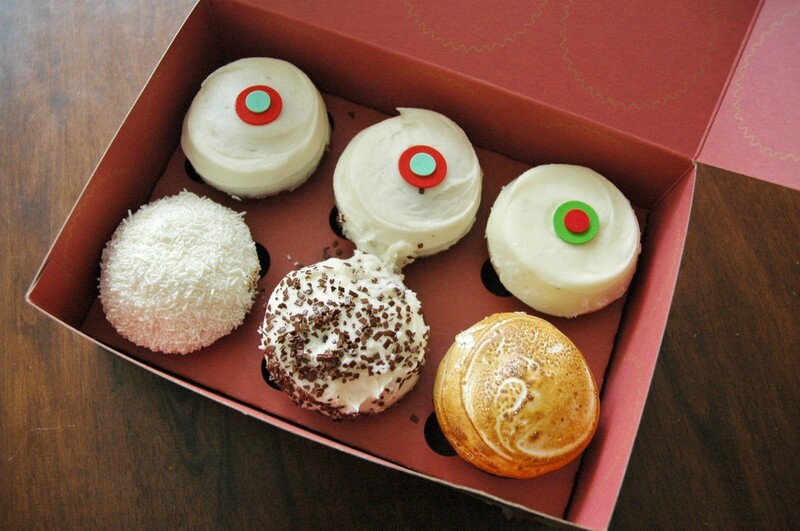 Not to limit my taste test to one flavor, I took home a box to try out several of Sprinkles’ other options. 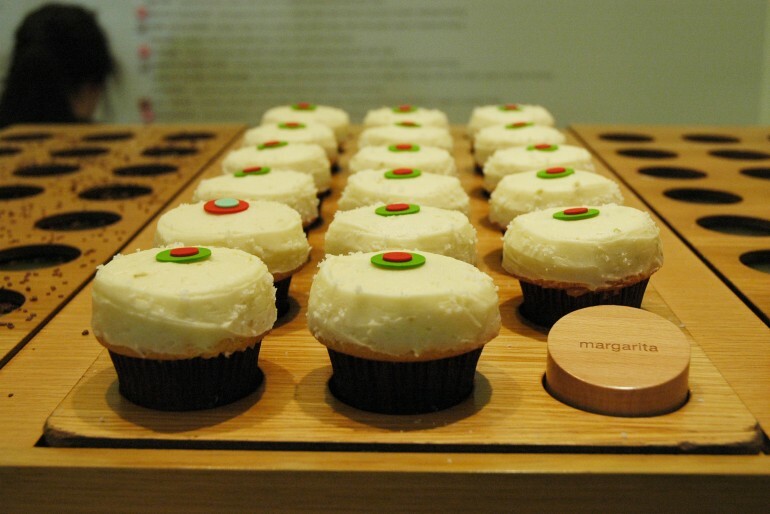 My favorite was the new Margarita flavor, which is actually spread with a layer of tequila before being frosted. 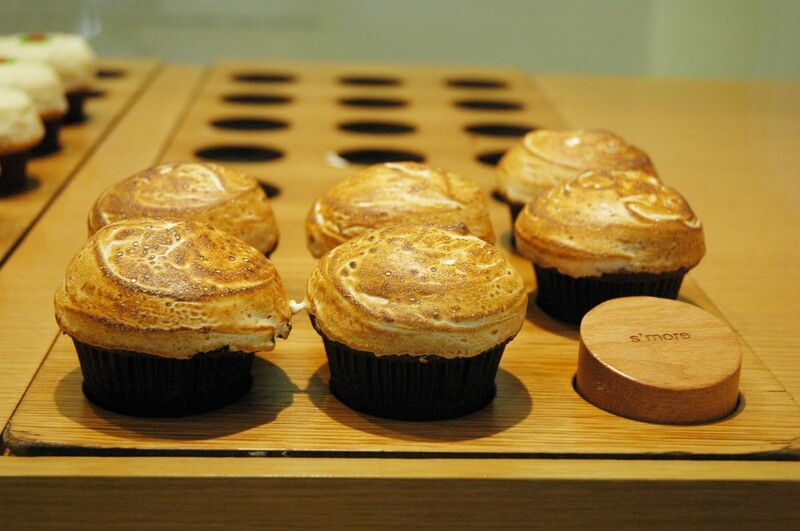 My other favorite was the S’more cupcake, a concoction of graham cracker crust, chocolate cake with an even more chocolaty center, and a toasted marshmallow topping. With all the flavors and options, I know these cupcakes would make great gifts to a few very lucky individuals. 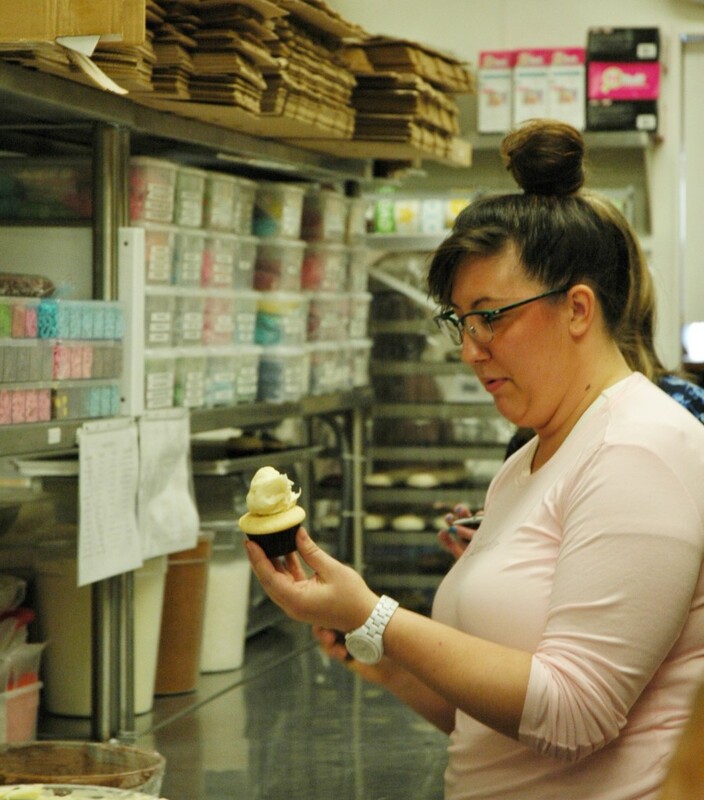 Next time you’re craving a sweet treat or want to try one of Chicago’s gourmet creations, head to Sprinkles cupcakes to create your own delicious moments!